By Dawn Lost Together | November 14, 2018 | This post may contain affiliate links, which means we may receive a small commission, at no cost to you, if you make a purchase through a link. Read our Disclosure. After spending years looking at beautiful and exotic photos of Japan, we knew we needed to visit Japan and see the country for ourselves. We wanted to see the colorful temples and shrines, eat the world’s best sushi, ride on a bullet train, be dazzled by its neon lights and soak up Japanese pop culture. We did all of this and more on a wonderful 10 days in Japan itinerary that focused on the best sites in Tokyo and Kyoto. Where to go in Japan? There are so many fabulous places to visit in Japan, but if you are traveling to Japan for the first time, stick to these two classic Japanese cities. Tokyo offers up the modern futuristic side of Japan, while Kyoto gives you the opportunity to experience the history and culture of imperial Japan. We spent 5 days in Tokyo and 5 days in Kyoto, which allowed us to really get to know each city. To minimize transportation time and cost, we flew into Osaka and visited Kyoto first. We then took the bullet train up to Tokyo, where we flew out 10 days later. One of the very best ways to experience Kyoto is by staying in a traditional Japanese inn, a ryokan. 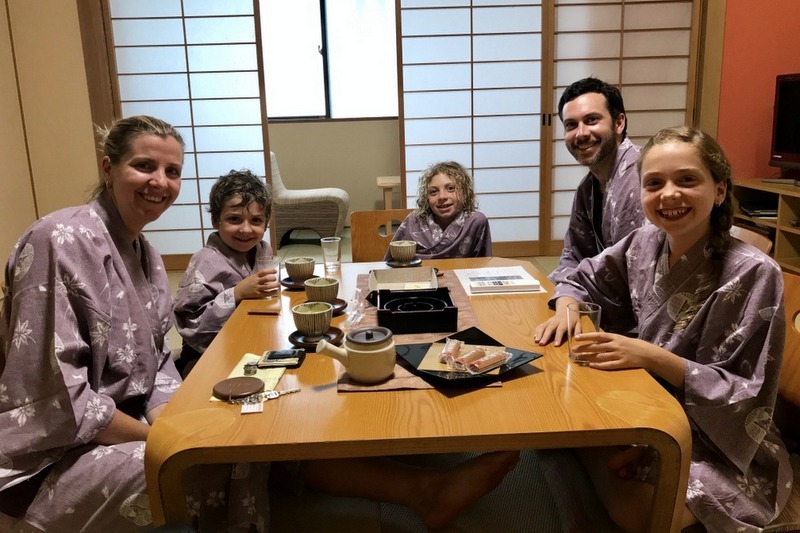 This cultural immersion experience allows you to sleep on tatami mats, eat elaborate kaseki meals and bath in an onsen. Ryokans generally include your meals and can be quite expensive. While we would have loved to stay in one for the whole time we were in Kyoto, we opted to stay one night. Before you go, learn what to expect staying at a ryokan to make sure you don’t make any etiquette faux pas. Kyoto is home to over 2,000 temples and shrines and each one of them is incredibly unique and beautiful. It is easy to get “templed out” in Kyoto, so you want to pace yourself. 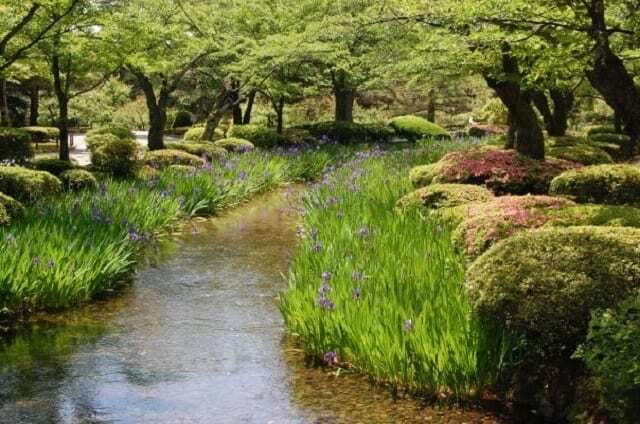 In this Kyoto itinerary you have four days to experience all of the highlights of Kyoto. The Higashiyama district is one of Kyoto’s best preserved heritage areas and a great place to start exploring Kyoto. There are numerous temples and shrines, Japanese gardens and tea houses best explored by walking the narrow streets. 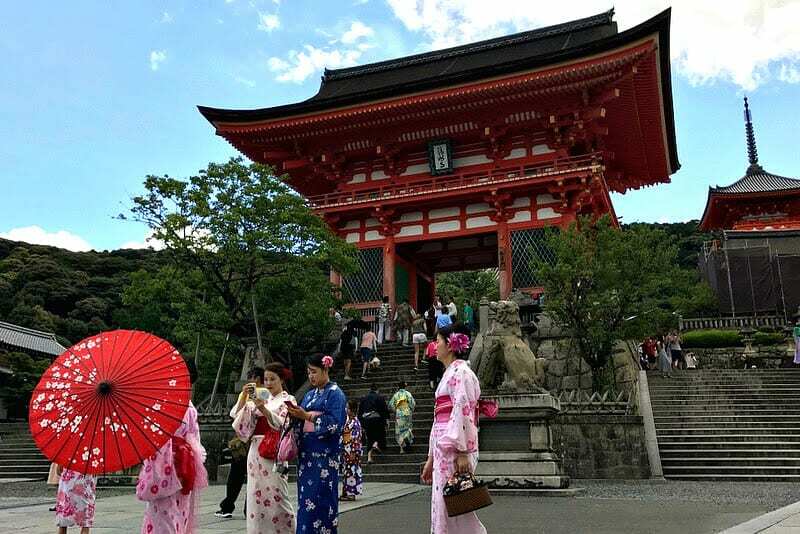 The highlight is Kiyomizu-dera temple, a UNESCO Heritage Site with amazing views over Kyoto. 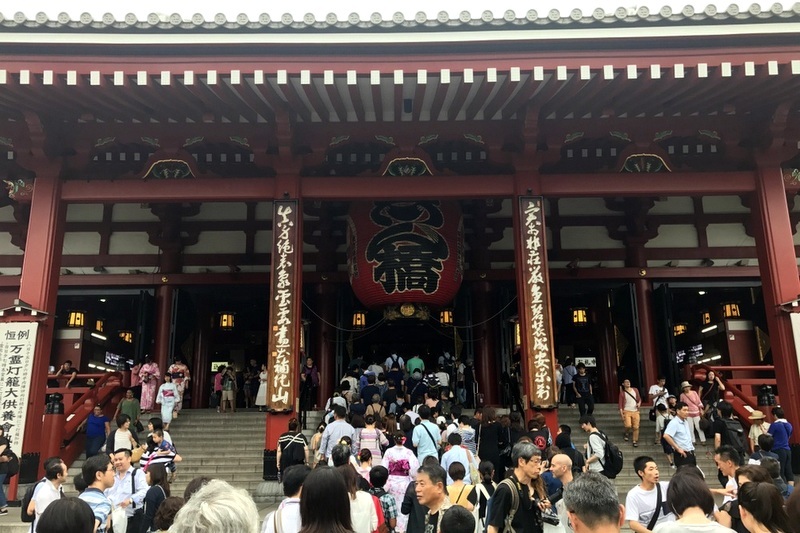 As you approach the temple and walk the heritage Yasaka and Kiyomizu-michi Streets, you will melt into the bustling crowd. 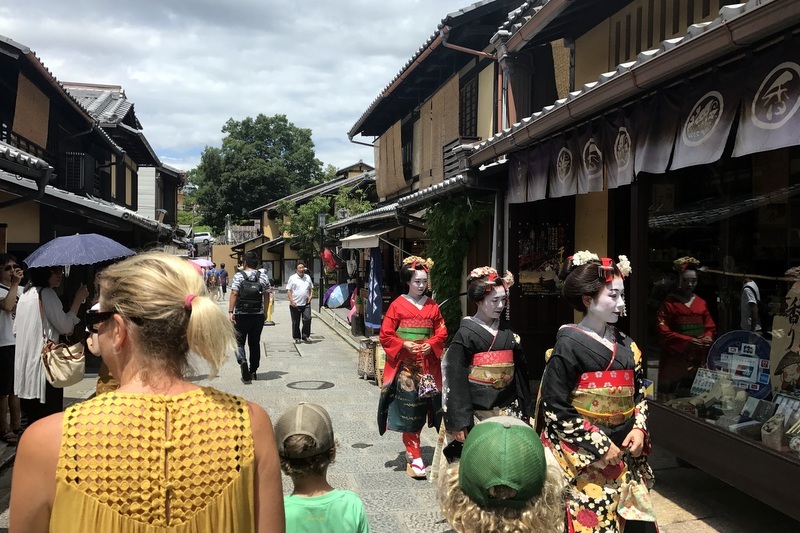 A popular activity for both domestic and foreign tourists is to dress up in geisha or maiko costumes while exploring the area. There are lots of opportunities to shop in the wooden storefronts selling Japanese trinkets and matcha goodies. If your legs aren’t too tired, have a wander through Gion, where you might just spot a geisha going to an evening engagement. Have dinner in nearby Pontocho Alley, a narrow street full of restaurants, many overlooking the river. 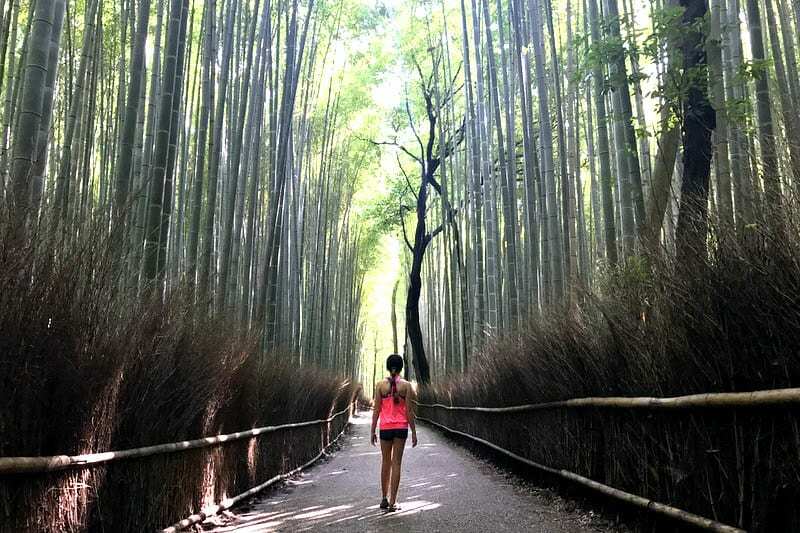 Arashiyama is a district on the western side of Kyoto, best known for its towering bamboo groves. As one of the most popular places to visit in Kyoto, it gets busy quickly so get an early start to your day to enjoy some quiet time before the crowds arrive. You can rent bicycles and explore the quiet and rural streets of Arashiyama. Nearby Monkey Park Iwatayama offers beautiful views over Kyoto and the chance to see and interact with the wild monkeys that live on the hill. In the afternoon, head over to Kinkaku-ji, another UNESCO site and one of the most photographed places in all of Japan. 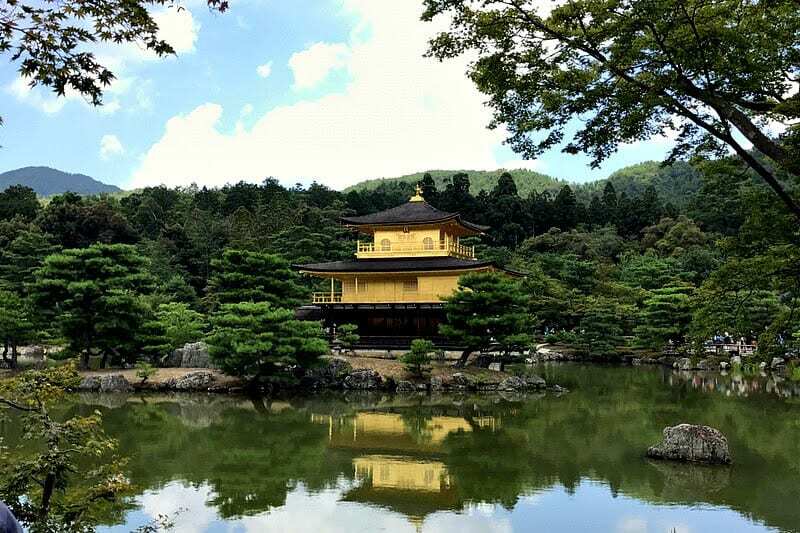 Commonly referred to as the Golden Temple, this is the most zen place I have ever visited and one of the best things to do in Kyoto, even with the crowds. Every little detail of the temple and gardens have been thought out so carefully. Fushimi Inari is absolutely breathtaking with its pathways of orange torii gates on the side of a mountain. The higher you walk, the less crowds you will find. You can easily spend 2-3 hours here following the 4 kilometers of pathways in the forest. 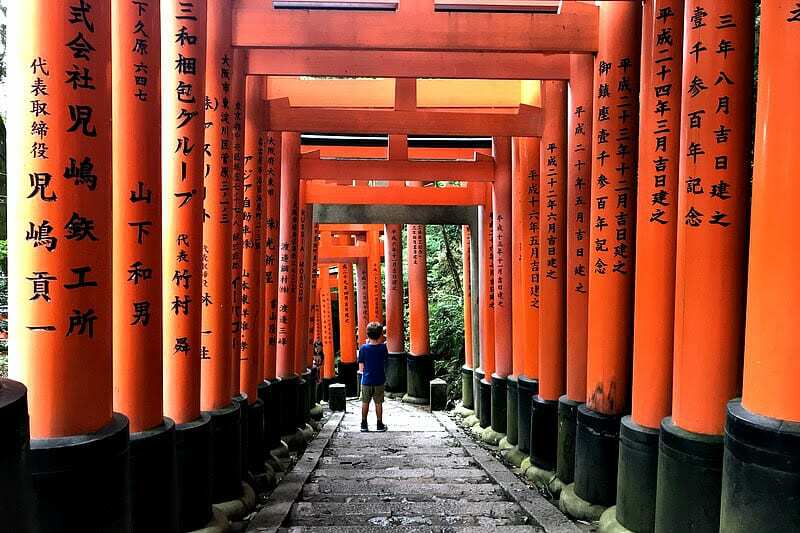 As one of the most famous Kyoto attractions, definitely put Fushimi Inari on your Japan itinerary! Next, head back to downtown Kyoto to visit the Manga Museum. Manga and comic books are at the center of Japanese pop culture and the Manga Museum is like a manga library where fans can devour the huge collection. 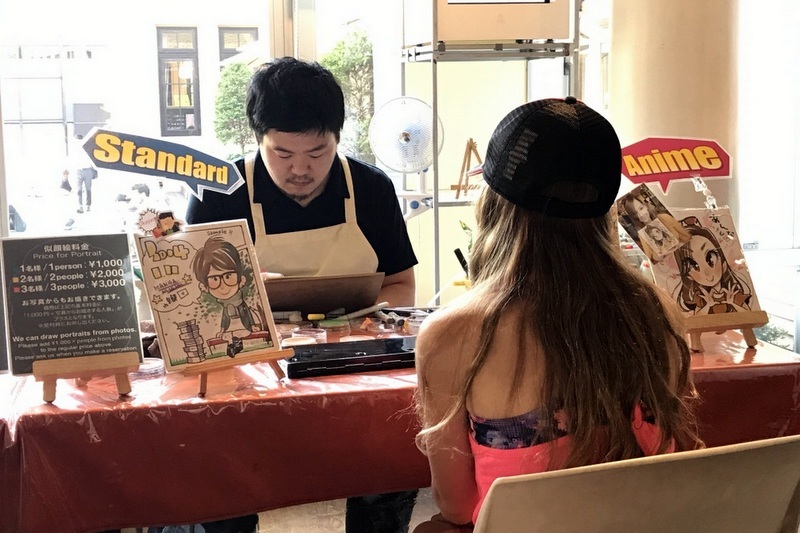 For us, the highlight of our visit was having the kids’ portraits drawn by a manga artist. It is amazing how much personality the artists imbue in their drawings and they are our favorite souvenirs from the trip. Finish your day by wandering through Nishiki Market, a five-block shopping street. Amongst the souvenir shops, you will find fresh local ingredients, tempting take-away fare and specialty food products. For your last day in Kyoto, choose to explore more of what the city has to offer or do a day trip to the surrounding area. If you are staying in Kyoto, visit Nijo Castle, home of shoguns since the Edo era. This is also a great rainy day activity. This 400 year old castle features beautiful murals, wooden floors that make nightingale sounds as you step and elaborate Japanese gardens. Spend the rest of your day walking the Philosophers Walk in northern Higashiyama or participating in a tea ceremony. One of the best day trips from Kyoto is to Nara, famous for the deer that roam freely and its impressive temples. Just an hour from Kyoto by train, Nara is an impressive city to spend the day in. If you are looking to see some of Japan’s countryside, head to Karama and hike to Kibune. This half day hike (4 km, 2-3 hours) winds through temples and forest. If you are there in the warmer months, you can eat lunch on the platforms built over the river as the water flows beneath you. Book home rental in Kyoto here. No trip to Japan is complete without taking the shinkansan, the Japanese trains that travel at speeds up to 320 km/hr. There are lots of trains between Kyoto and Tokyo, so no need to book the Kyoto to Tokyo bullet train in advance. 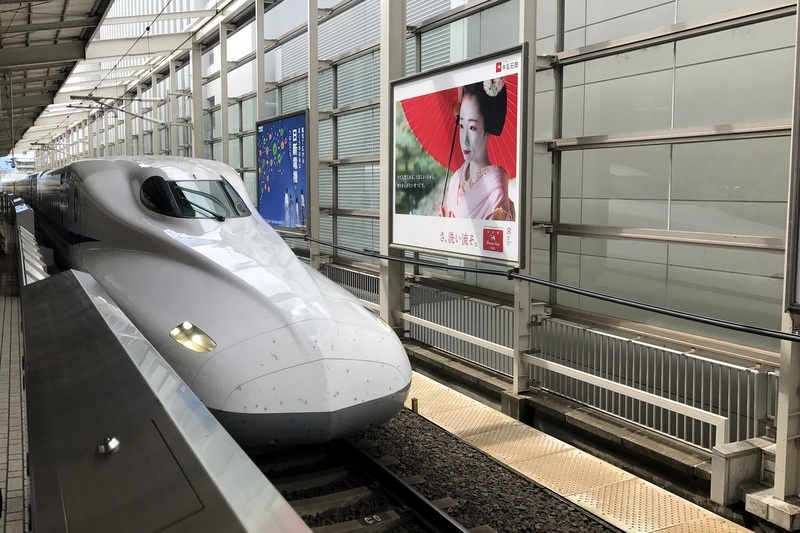 If you are doing more than one train journey, it may be cost-effective to purchase the Japan Rail (JR) Pass, which must be purchased before arriving. Sit on the left side of the Kyoto to Tokyo train for a chance to see Mount Fuji on a clear day. Once in Tokyo, get your bearings and start working your way through the amazing food experiences it has to offer. Tokyo is massive and you could spend weeks exploring all of its different neighborhoods and sites. With a 5 day Tokyo itinerary, you will have the time to see the main Tokyo attractions and immerse yourself in Tokyo life. Getting around Tokyo by metro may look daunting, but as you would expect in Japan, it is a very efficient system. Check out these Tokyo tips from bloggers and other travellers. 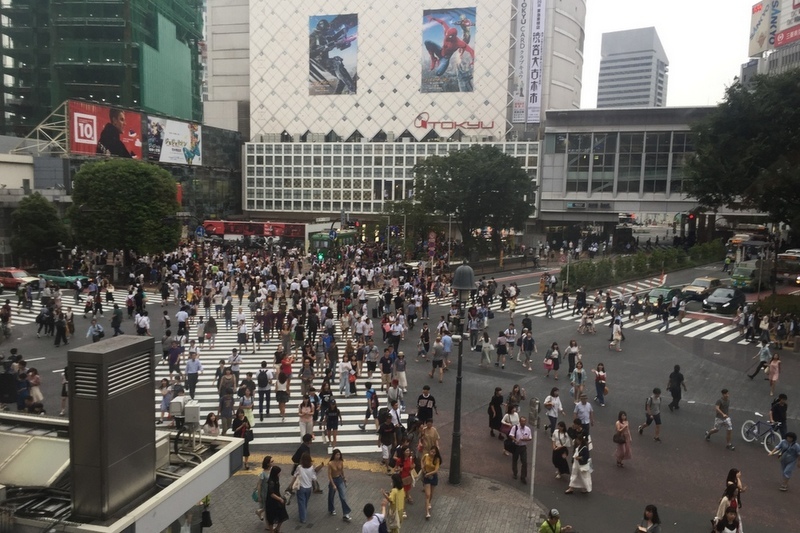 The Shibuyu Crossing was made famous in “Lost in Translation” and you definitely want to experience the world’s busiest pedestrian intersection, preferably at rush hour. It’s one of the craziest places to visit in Tokyo! Take a wander down Center-Gai, a pedestrian shopping street. Stop at one of the karaoke bars and spend an hour belting out some tunes with your friends. You will also want to queue at Genki Sushi, where your sushi will be custom-delivered to you on conveyor belts. In the afternoon, take the metro over to Harajuku, the infamous youth kawaii district. 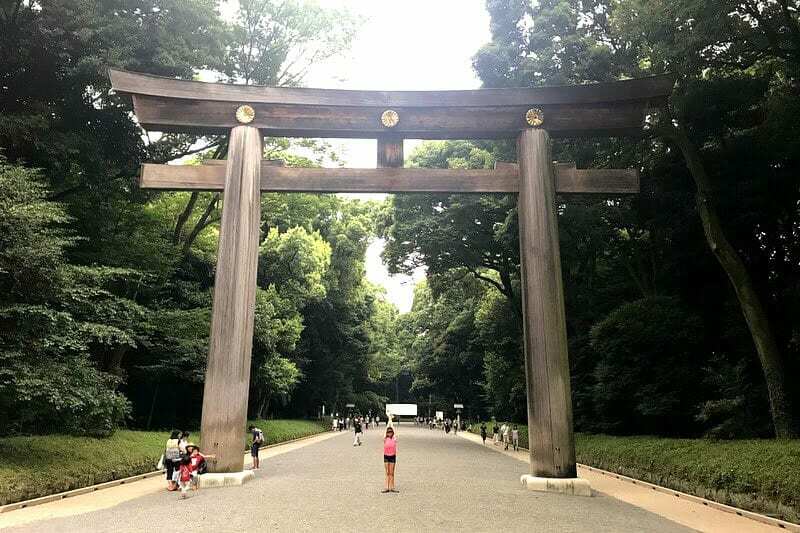 But before you head into the crazy world of Harajuku, head to Meiji-jingu shrine for some peace and quiet in Yoyogi-koen Park. 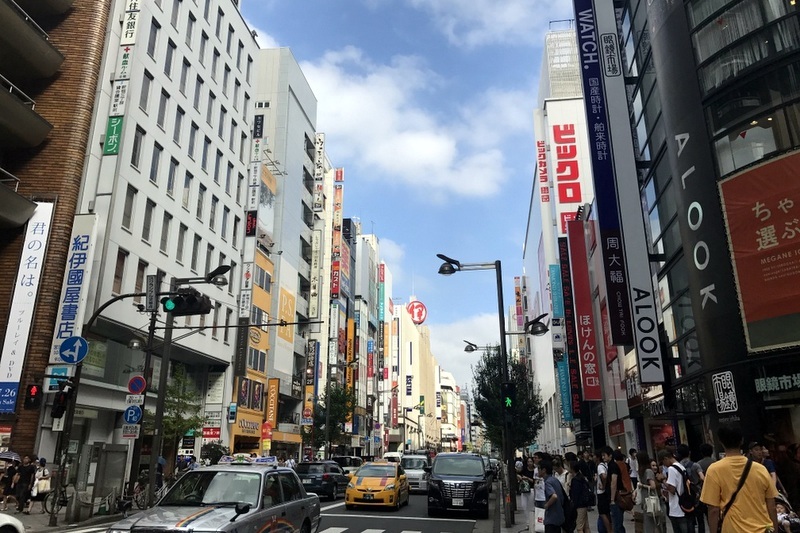 After a couple of hours walking the peaceful trails around Meiji-jingu, you will feel better prepared to tackle Harajuku’s main shopping street, Takeshita. Anything goes here and you will find lots of curious characters youthfully expressing themselves. For dinner head to Sakura-tei for okonomiyaki – Japanese savoury pancakes you cook right at your table. 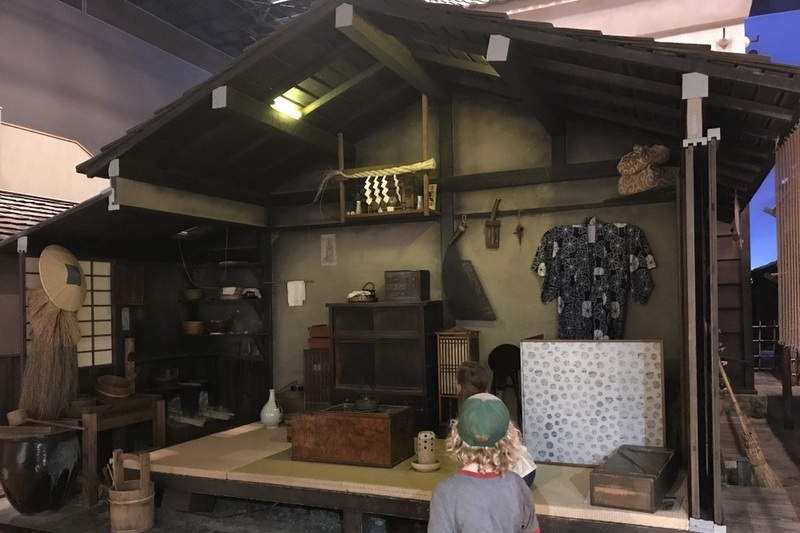 The Edo era in Japan was a fascinating time and to better learn more about it, visit Fukagawa Edo Museum. This open-air museum recreates a working class neighborhood in the Edo era. It brings history to life as you can walk into the buildings and pick up the period artifacts. If you are looking to learn even more, visit the Edo-Tokyo Museum. Next up is a visit to the traditional neighborhood of Asakusa. The main site here is Senso-ji, the oldest temple in Tokyo. Approach the temple from Nakamise-dori and get swept up in the bustling atmosphere and Japanese craft and sweet shops. The atmospheric side streets are worth exploring, which hint at a bygone era. If you still have time and energy, head to Ueno on foot. Ueno Park is the perfect place to do some people watching and the Ueno Zoo is popular with old and young alike. If you are nearing the end of your day in Asakusa, the Tokyo Sky Tree offers up stunning views from its observation decks. On a clear day you might be able to spot Mt Fuji or opt for the glittering after dark view. 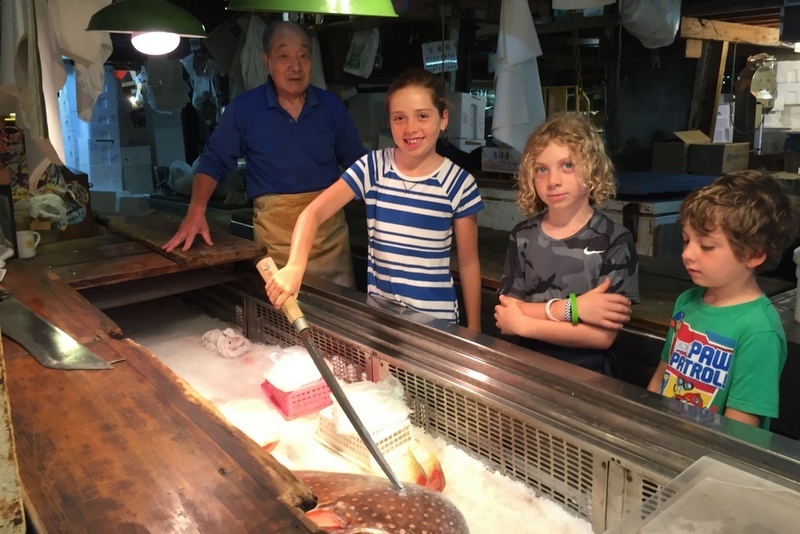 You can’t go to Japan and visit Tokyo without experiencing the largest seafood market in the world. 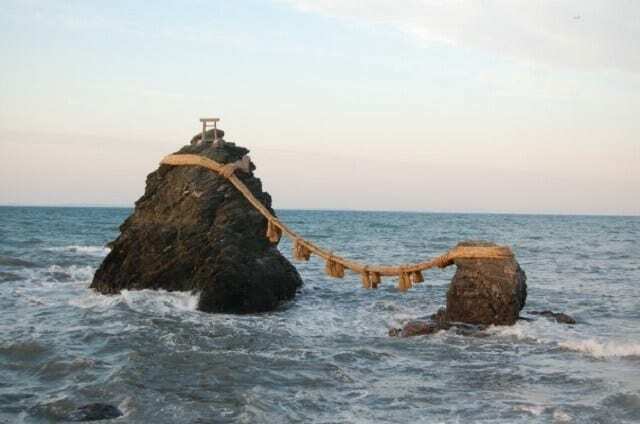 It’s one of the most popular places to go in Japan. The market was set to move to an outer suburb, however that has been postponed until at least fall 2018. If you really want to see the tuna auction, plan to arrive and queue for tickets by 3 am. However, even if you don’t want to get up in the middle of the night, Tsukiji should be on your Tokyo itinerary. Plan to arrive at 9:30 as tourists are not allowed to enter the inner market until 10 am when business is concluding. You will then have about 30 minutes to wander around and see what was for sale that day, before things wind down at 10:30 am. You can sample the freshest (and very expensive) sushi at the outer market, where queues can get quite long for the most popular restaurants. Next up, take the metro to Shinjuku. Here you will experience the world’s busiest train station with over 3 million people passing through it each day. Shinjuku is the Tokyo you picture with its neon lights, masses of people and high-tech everything. This is a great place to get some shopping done in Shinjuku’s many department stores and shops. If you want to see Tokyo from above, but don’t want to shell out for the Skytree or Tokyo Tower, you can ascend to the top of the Tokyo Metropolitan Government Building for free. 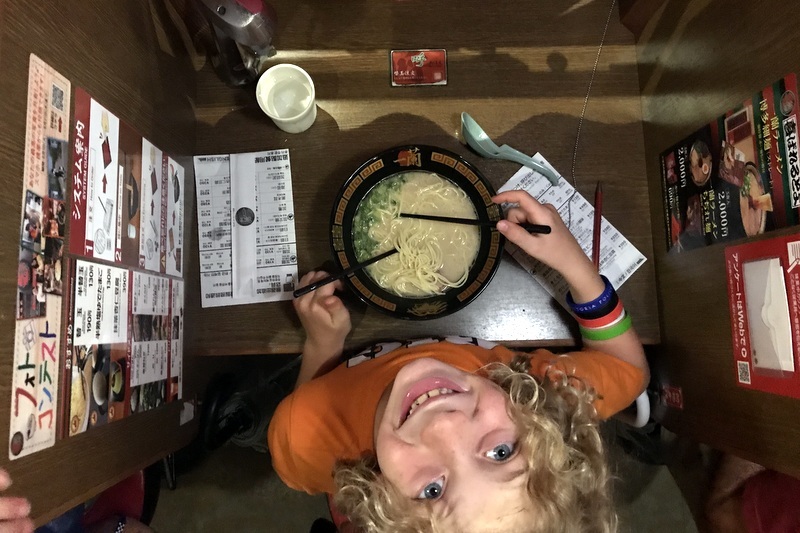 For dinner, indulge in another must-have Tokyo food experience: ordering ramen from a vending machine. The Ichiran outlets are rumoured to be the best in the city, but like all good things, be prepared to queue. On the ninth day of your Japan vacation, choose to visit a Disney park or take a 2 day/1 night trip to Hakone – one of the best day trips from Tokyo! Tokyo is home to two Disney parks: Tokyo Disney and Disney Sea. Both offer the classic Disney experience, but with a uniquely Japanese twist. The food alone is worth a visit with interesting snacks like gyoza dogs, curry popcorn and mochi dumplings. 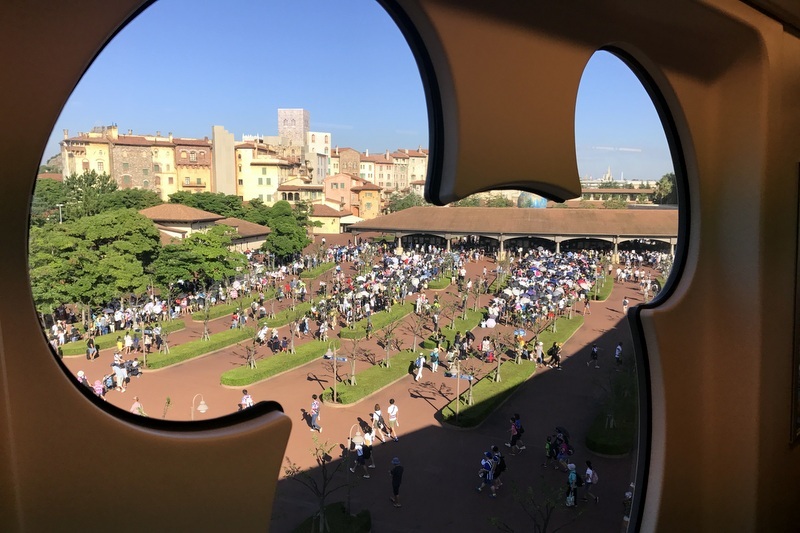 Try to visit mid-week and buy your tickets in advance, as queues can be very long. If Disney isn’t your style, take an overnight trip to Hakone. Best known for its hot spring resorts, this is another great place to stay in a ryokan. A great way to enjoy the region is by doing the Hakone Circuit with the Hakone Free Pass. This allows you to take five different modes of transportation through its countryside and lakes. If you like shopping – head to Ginza, the first neighborhood to modernize in Tokyo. As Tokyo’s 5th Avenue, this is home to high-end retailers. If you like entertainment – head to Odaiba, a man-made island in Tokyo Bay, accessible by mono-rail. From theme parks to science centres, and even a hot springs amusement facility, Odaiba offers lots of choice. If you are interested in electronics – head to Akihabara, Tokyo’s geek culture wonderland. If you are interested in sumo – attend a sumo tournament at Ryogoku if you are visiting in January, May or September. If you are into film – score tickets in advance for The Ghibli Museum and enter the world of animator Miyazaki Hayao. If you are into sports – buy tickets to the Yomuiri Giants baseball game at the Tokyo Dome if visiting from March to October. This 10 days in Japan itinerary is a great way to get a taste of this amazing country. Visiting Kyoto and Tokyo will whet your appetite for all the places to see in Japan and you will be planning your next Japan trip before you even leave. Japan truly is unlike any other country on earth. In an era of globalization, Japan manages to maintain a completely foreign feel that we as travelers thrive upon. From its rich culture, to its futuristic and high-tech cities, to its orderly ways, Japan is a destination that you have to visit to experience. Booking.com has properties all over Japan. You get free cancellation on most rooms and a best price guarantee. Get your Guide offers a wide variety of popular tours and attractions in Kyoto and Tokyo. We hope you found this 10 days in Japan itinerary helpful? If you have any questions, or want to share your own Japan travel tips, leave a comment below. Amazing photos! Thank you for the tips! Wonderful destination! I am planning for years to spend some days in Japan. It really is unlike any other country we have been to Mona. Hope you get there soon! December or april wich month better..
We felt that 10 days was a great introduction to Japan, Amber. Quantas just started flying direct to Japan last year and you can get some killer prices on Jetstar too. I think it was only about an 8 hour flight. Hope you can convince hubby! What a comprehensive guide on Japan! It is definitely on my wishlist. Glad to see a guide beyond the Cherry Blossoms. 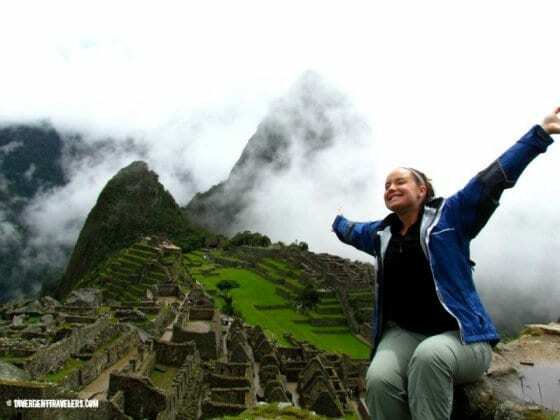 Would love to experience the local stuff – food, transport, culture and the heritage. We will be going back to Japan and so far have only explored Kyoto and Osaka so these Tokyo tips will come in handy. I also enjoyed rattling around in the older posts that are linked. I like the idea of doing the volunteer guides in Tokyo like Paula and Gordy talk abut with Planet D. A wealth of knowledge on these pages. I’ll be back! Great post! I’ve got some friends in Japan who I’ll be sharing the link with! I think even they will pick up a few tips! I have been to Japan a few times but only to visit the snow. I will have to go back and see some of the sites you recommended. That is the best itinerary that I have ever read for the ‘Land of the Rising Sun’. I love the pictures and the way you have cleared all the concerns that a first time traveler might have. Amazing blog with so much great info. Wahhh – am BUSTING to get over there. Mainly for food to be honest but it also looks like such an incredible country! Thanks to your blog, Japan is on the number one position in the my travel bucket list now. And the best part, I am planning a trip to this amazing place in coming April. Planning a visit to Japan for about 9days and 8nights in the last week of March 2019. I will be accompanied by husband ( both of us are senior citizens and son (a young man). Looking for a good English speaking group originating from either Tokyo or Kyoto). Please give some recommendations. Thanks. THANKS FOR LOT OF GREAT SUGGESTIONS. WONDERING WHAT WAS THE NAME OF THE RYOKAN WHERE YOU STAYED AND IF YOU WOULD RECOMMEND IT ? WILL PROBABLY SPEND ONE NIGHT IN ONE IN KYOTO. THANKS!